I wear too many t-shirts and I need to remedy this. I need one of those hip and groovy mom looks that some people manage to have--no not "mom jeans" but cute stuff. Hip little shirts with nice jeans and some ballet flats--or something... I dont know what or I would be wearing it already. I have trouble finding shirts that I like because my torso is like 500 miles long. With as many costumes and the like as I make I have learned that I have to drop the waistline 4 inches to get the fit right. Very annoying. 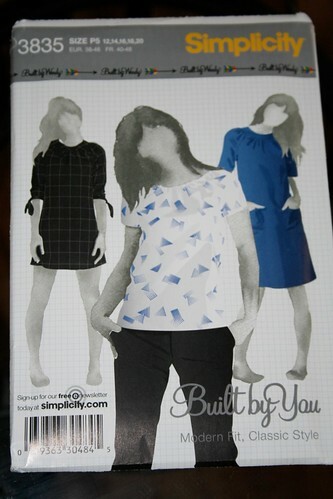 So, I went and got a couple cute, easy patterns to make a couple and supplement my Target tshirts. This is the shirt I made today. 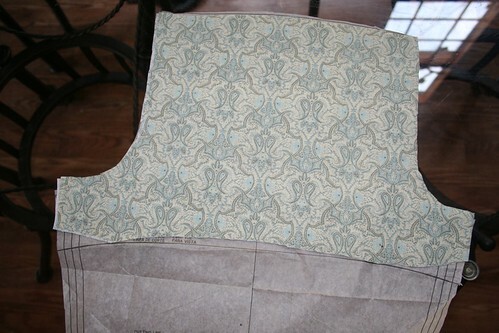 It was a trial version--done exactly like the pattern told me with no improvising or altering. The ubiquitous Simplicity 3835 from Built by Wendy. You can google this pattern and find a billion versions because it is a much talked about and well loved pattern with modern crafty sewing girlies. I used some paisley-esque cotton that I had lying around. 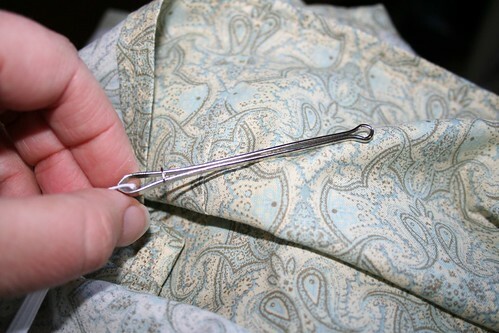 I still LOVE some paisley--any color, any style--because I am a good 80s girl. It is this guy's fault. This pattern is very easy-peasy. It only has 3 pieces and an elastic measurement. I cut the arms out a little wonky because the dresses have the same body as the shirt. I had to fold the pattern all bunchy to not cut off the dress part and it pulled the edges up funny. I will fix this next time. 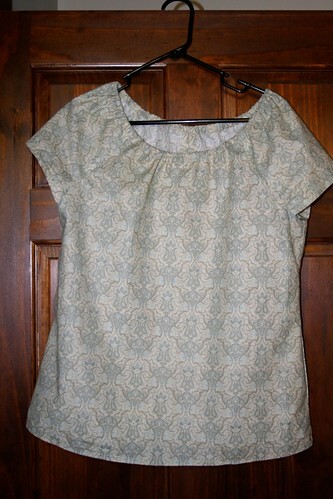 Getting this neckline perfect was the hardest part but even it only took a few minutes of fiddling. I will share my favorite tool in the whole entire world with you here. Essential for threading elastic and drawstrings through casings. 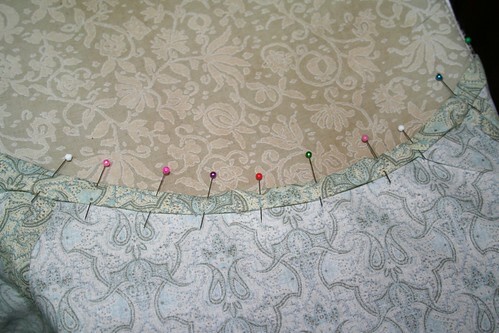 This is called a bodkin and it is the bomb. I used it for the neckline of this shirt and I use it constantly for costume making. They are cheap and everyone in the world needs one. Anyway, I like the shirt and I will make more. Good everyday shirt and takes hardly any time at all.